We are volunteers preserving a historic steam locomotive and flat cars for future generations. In searching for a permanent home for these items, we've expanded to include the Bayshore Roundhouse in our preservation agenda. 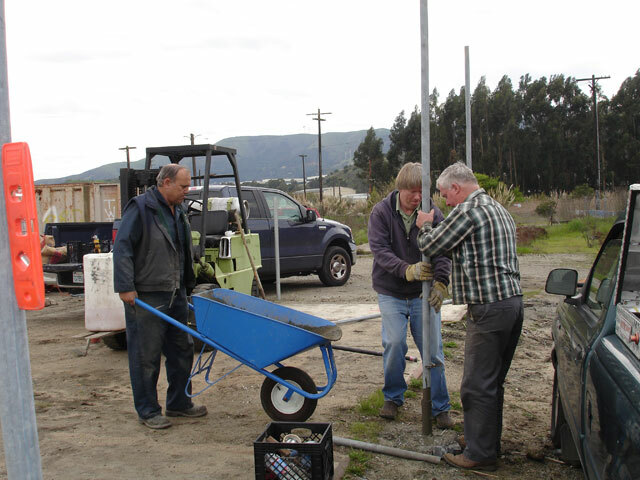 In 2007 we received our status as a 501c3 non-profit organization. From the inception as a fundraising group focused solely on repairing a locomotive, we realized that only standing brick roundhouse in California was in need of saving. On the border of Brisbane, Daly City and San Francisco, the early 1900's engine house has the potential of being at the center of a greater community driven development. 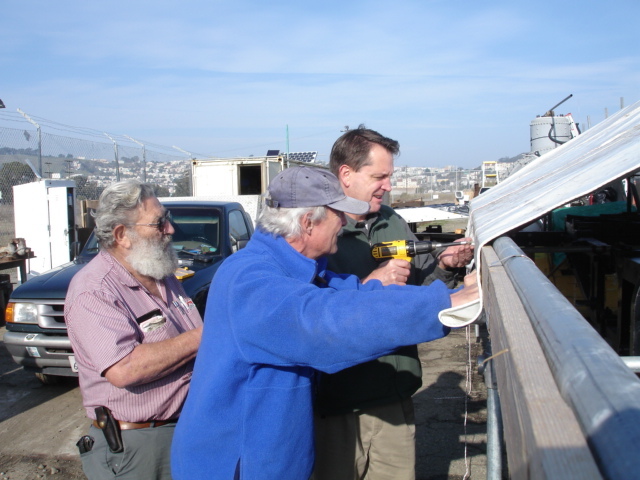 Our volunteers include the mechanically inclined, history lovers and conservation minded people. Professional mechanics, engineers, machinists, current and former railroad employees pass their skills along to apprentices of all ages. Just like other success stories, people employed in fields diverse as architecture, chemistry and software come together work. 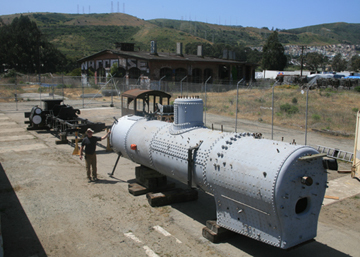 Volunteers have restored the Zoo's "Little Puffer", the famous Southern Pacific steam locomotives 2472 and 2479. We also helped create and produce the CalTrain Holiday Train. In keeping with our purpose to educate the public and the past and future potential of railroads, we have presentations on San Francisco Railroading History and on the State Belt #4 that we will bring to public meetings, community groups and schools.